Cheaper, smaller, faster, more efficient. These are the topics on the minds of today’s instrument manufacturers and end-users. As chemistries and workflows are becoming more complicated, the need for new, innovative materials on the fluidic path and new instrument designs that produce better results in a smaller footprint are becoming more critical. The analytical chemistry instrument market is following the same trend as personal electronics: “Give me double the performance in half the size and customize it to my personal needs”. In analytical chemistry, method development evolves almost daily, so speed and accuracy are always being pushed to the limits. These new tools and techniques are needed to keep up this kind of momentum. How is momentum sustained? We’re seeing several significant trends making headway, which are the kinds of tools and techniques needed for advances in the world of analytical chemistry. These trends include increasing the efficiency of processes and helping get faster and more accurate results. Understanding these trends will help bring the future of drug discovery into focus. Over the next several months, we’ll be covering these trends as well as challenges facing our customers in the life science industry in a series of articles. Many of us have seen or currently work in labs with HPLCs, Mass Specs, and GCs sprawled across a massive room filled with analytical chemists. As impressive as it is to see, what if we were to condense that room in half while maintaining the same throughput? Or what if we were to take that same room and get double the throughput because we’re able to fit twice the number of instruments? Imagine you or your employees could get double the output since scientists were able to manage twice as many machines at one time because they’re all close together in a single workspace. The benefits of smaller instruments would be significant in terms of throughput and speed to market, as well as the business costs of space and labor. We haven’t even mentioned the benefits of removing dwell volume from your system. Take for example column innovations over the past decade. The particles got smaller, the pressures got higher, and the column got shorter, so the system got faster. This allowed samples to run in seconds instead of minutes without sacrificing performance and results. Real-time sampling allows users to exert significantly better quality control over their manufacturing process. When we manufacture porous metal components at Mott, I can assure you that we don’t manufacture a batch of 1,000 units to find out the process was out of spec the entire time. We test as we go to ensure we’re developing quality components that are compliant to our customers spec during manufacturing. Quality assurance during the process is always miles better than quality assurance after the process. Biopharm and Pharma manufacturing is no different. For instance, the product produced in biotherapeutics is much more than its weight in gold. You can’t have it foul up, you can’t have a contaminated batch, and you need to extract as much out of it as possible. Most importantly, you can’t wait until after the batch is manufactured to find out you failed at all three of these things. Chemists need to be able to run these samples immediately because minutes could cost millions. Imagine you’re cooking a roast at Christmas for your family. You’re aiming for that perfect temperature of 145 degrees. You stick the thermometer in after it’s been in the oven for a while… to find out that your thermometer takes 10 minutes to tell you the internal temperature. 10 minutes later you find out that your roast over-cooked during that time and you’re now feeding a lot of unhappy people. No different, except the stakes are slightly higher in manufacturing. Real-time sampling, often using smaller or portable technology, provides incredibly fast results. For example, last year a team of Nagoya University researchers developed a process of in vivo real-time monitoring of metabolites using a combination of probe electrospray ionization (PESI.) They also used tandem mass spectrometry (MS/MS) for greater detailed characterization of endogenous metabolites. Fast, accurate, and real-time is how analytical chemistry should be done—and the life science industry is making great strides in that direction. Personalized medicine has ushered in a new dawn of targeted therapies. These wonder drugs provide lifesaving treatments with far fewer side effects compared to conventional therapeutics. From early stage drug discovery to process scale production, these breakthrough medicines require analytical instrumentation to provide accurate, reproducible data to help validate assays and optimize production enabling safer, better drugs faster. However, with these new methods come new challenges. New materials are needed to reduce interactions with metal along the fluidic path. You don’t want your protein sticking to some sort of metal and you sure don’t want reactivity leading to inconsistent results. Polymers and new metals are overcoming these challenges caused by new chemistries and proteins. Integrated assemblies play a role in miniaturization and making a smaller footprint for instruments by reducing subassembly package size. They take multiple discrete components and combine them into a single package. Integrated assemblies also allow for better instrument performance, usually with reduced hold up volumes in the system flow paths and reduced chance of cross-contamination when properly designed. Additionally, you reduce the potential errors from the component manufacture since there are now less potential points of failure in the assembly. Take the column example again. If you’re able to 3D print the inlet and outlet frits with the column instead of manufacturing the frits separately and assembling them into the column, it eliminates the potential for a frit to be placed incorrectly, which would cause sealing, leaking, and uniform flow issues. It would improve design for manufacturability, and collectively would result in improved serviceability. This means it’s no longer necessary to test each component to find out what’s wrong, and working with drop-in replacement components means less downtime. In an upcoming article, we’ll discuss how Mott’s 3D printed filters and flow control products can simplify system design and assembly. 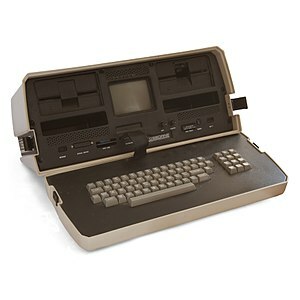 Referring back to the electronics, I’d like to take you all back to 1985 when the first ever laptop was introduced, the Osborne 1, which weighed 25-pounds. While an enormous leap forward for personal electronics, many people would not be thrilled at the idea of carrying around a 25-pound dumbbell today. For reference, the average laptop today weighs 4-5 pounds. Now over the course of nearly 25 years, the weight of laptops has been reduced by over 80%. Imagine that the year is 2044 and your 300-pound HPLC now weighs 60 lbs. The idea of carrying around a 60-pound dumbbell isn’t going to thrill anyone either, but many chemists would burden the weight to be able to get results right at the point of sample acquisition. The ability to gain real-time results without the risk of contamination in transport would produce enormous benefits for a variety of analytical chemistry fields, such as remote analytical testing of air quality in remote areas or testing at security checkpoints for explosives, toxic, or biohazardous weapons. Advances in battery life of portable analytical instruments are bringing more consistent and longer-term field analysis within reach. A process with rapid separations, high efficiency, and low volume requirements checks off a lot of boxes for analytical chemists. Assay interference can be avoided by directly measuring the target or enzymatic product. Fortunately, capillary electrophoresis provides direct detection of the product, allowing for the identification of some forms of assay interference. Protein analysis and biotherapeutic quality control are enabled and enhanced through a microfluidics-based capillary electrophoresis. In addition, label-free technology allows for direct measurement of the sample without the need of secondary labeling. We’ll be delving more deeply into each of these trends in the coming weeks and months and we’d love your feedback as well. Feel free to shoot me an email, or connect with me on LinkedIn to start the conversation. No matter where we connect, I’d love to hear your feedback. In the meantime, feel free to contact us to discuss your newest project if you have a filtration or flow control need. We have a team of Application and Design Engineers specializing in porous metal components to assist your efforts.